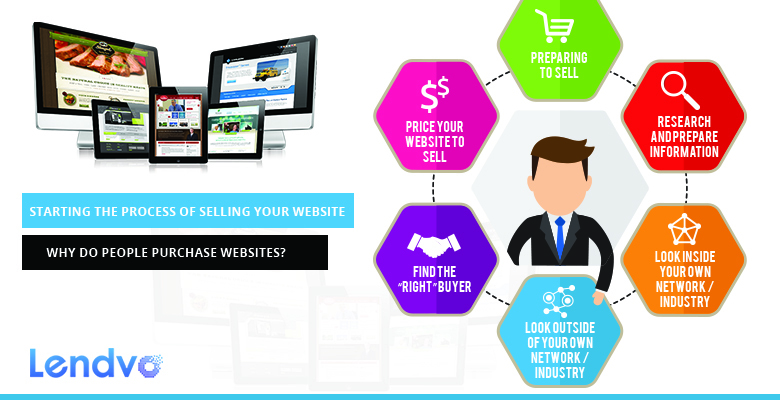 Are you looking to sell your website? The process can be daunting. Selling your website has many variables, and after so much personal investment, it is important that you consider the following tips before making the transaction. Before selling your website, you should understand why people buy websites. Potential buyers are coming to you because they see some sort of potential for added value. A buyer of a website is not looking for just the raw domain name; they are looking for a domain that they can develop and use to pursue opportunity in the market. Thus, they will rarely keep the site exactly the same after they purchase it. However, this leaves you in the unique position to sell on your website’s long-term value. Income: Establish a long-term track record of profits. The buyer is looking for a growing, stable, and diversified source of income in your website. Thus, if your website comes with a proof of concept going back several years, you will be valued higher than a website that has only been up for a couple of months. It is nearly impossible to differentiate your website from all the other websites being sold without a long-term history of success, and if you are not profiting from the site then it will be extremely difficult to sell. Take some time to prove the consistency of your website’s performance; you’ll benefit as your business grows and again when you finally make the sale. Traffic: Ensure you have multiple sources of traffic. Generating large amounts of traffic from Google through high quality links and content is great, but you are still vulnerable if this is your only source of traffic. Buyers are generally interested in seeing as little risk as possible, and relying on one entity for traffic introduces a lot of risk into your business. While you can certainly be very successful by ranking high on Google for important keywords, it will benefit you to generate other sources of visitors before you sell your website. One way to diversify your traffic sources is to branch into email marketing. Not only will you build an audience unique to your business, but your email list will be extremely valuable to potential buyers. Before listing your site, you should optimize its profits and overall value. This is your chance to avoid trying to sell your website off of its “potential.” Buyers will simply respond to a claim of huge potential with the question: “Why haven’t you done it yourself?” Test different monetization methods or ad placements, for example. At the very least, the little changes can have significant effects on your website’s profits. Your website is only worth what someone will pay for it. Before listing your domain, you need to reconcile certain variables with what you would be happy to sell for. These variables include your industry and the amount of competition within that industry, as well as the costs of your website (i.e. hosting or marketing costs). Furthermore, it is important to be aware of the labor required to maintain your website. If that labor is highly technical, you may have to ask even less for the website. Most people simply look at their monthly profit and then sell their websites for 6-10 times of that number. However, after looking at the variables mentioned above, you should look beyond just your short-term revenue. Is your website a hit on social media? Does it have a growing search presence? Make sure to look for indicators beyond monthly profit to price your website. You may also be able to increase your website’s value by offering your buyer after-sale support, financing, or part ownership. There are 4 valuation techniques used by buyers that you should be aware of, but keep in mind that with so many variables contributing to a successful website, your valuation will vary from buyer to buyer. REVERSE ENGINEERING COST: This technique involves the calculation of the price to build a website that mirrors the website being sold. The valuation is given by the sum of the cost to build the site, the cost to drive the same amount of traffic to the site, and time factors. Time factors include the amount of time it would take for the buyer to get a similar website built and driving comparable amounts of traffic, as well as the opportunity cost of the money the website would make in the time it would take to build one from scratch. TRAFFIC VALUE: This method is typically used for websites that have not been monetized but have traffic. The buyer will take the top key phrase(s) that drive the most traffic to the website, and then consider the CPC of the keywords. The value of the traffic to the site, or the amount that the site would have to pay for each visitor with a service like Google Adwords, is given by the CPC multiplied by the number of monthly unique visitors from that keyword. Because not everybody will pay the maximum CPC, the buyer will multiply the value of the traffic by a percentage, usually by a number close to 45%, to reach the final valuation of the website. REVENUE MULTIPLE: With this technique, the buyer will divide either the monthly profit of the website by its sales price, and this number is a multiple which represents the number of months it would take the buyer to earn back the purchase price of the website using its current monetization methods. However, this method is not an exact science. The buyer will give a larger multiple based off of the website’s age or potential for increased revenue, for example. This way, if two companies both make $X per month, but one is much younger than the other, the buyer can give a higher multiple to the website that is more established, thus granting it a higher valuation. COMPARABLE SALES: In this method, the buyer finds websites that have been listed for sale that match your site’s age, traffic, and revenue. The buyer then averages the prices of the websites and gives your website a comparable valuation. You should research successful sales before listing your own website. Look at similar websites that have been sold successfully – How much information did they disclose? Which sales tactics did they use? What did their pitch look like? You will automatically be better off by implementing strategies from previous successes. Further, buyers will expect you to give them certain information about your website. You should be ready to give your prospective buyers the following basic statistics. General information: Create a fact summary sheet that includes the most important information about the website on one page. You should also include details on any media mentions, a list of employees, an index of every page, security reports, and the programs that the site uses. Total Website Traffic: This includes the number of unique visitors (as both a total and an average), page views, growth rates over time, the amount of traffic coming directly and from search engines, your most successful keywords, and your website’s PageRank. Marketing information: This will give your buyer an idea of how you acquired your website traffic and how the public perceives your brand. Marketing information ranges anywhere from the overall marketing strategies used to competitor information and research. Legal Information: It is important to provide proof of ownership, transfers, and the history of your website. This will also include your revenue documentation, which is made up of expense reports, profit reports, ROI analysis, and any appraisals. A Good Sales Pitch: Lastly, write a letter introducing yourself, your website, and your website’s history. Understand your type of website and what a potential buyer is looking for, and include the relevant statistics on website traffic and profitability. Different websites require different sales tactics, and it is important to understand how your audience will respond to your sale. When finding buyers, you should consider what they look like. Buyers can typically be classified in the following categories. Strategic buyer: These buyers are looking at your website for its ability to add value to their own existing business. They are typically a competitor, supplier, or synergistic buyer, and they usually pay above the market rate. Corporate: This buyer works for a corporation and is looking to start their own business. They have saved up some cash and want to buy a website because of the freedom it allows them. Retiree: This buyer is interested in finding assets that will get them through retirement. Internet entrepreneur: This buyer is either looking to expand their own online business or to flip existing websites. Institutional buyer: These are companies that buy other companies as investments to add to their portfolio. Buyers inside your own network and industry will have the best understanding of the value of your site. They already know your market and will be the easiest to sell to. Good places to start are people within your own personal network, people that advertise on your site, or people within the industry that you are regularly in contact with. After combing through our own network for buyers, you can try and search for a buyer looking for a website. However, you’ll have to take more time to explain your website and pitch to this buyer. Another options are forums or websites devoted to buying and selling other websites. Your audience will determine which one is right for you, but you should use the auction site that will attract the right audience. For some, that will be the most popular outlet, Flippa, which will allow for visibility and a wide range of buyers. However, if you are selling a niche website, and looking for a free option you should consider appealing to your audience directly through forums, rather than using a widespread outlet. Now all that’s left is for you to negotiate and make the sale. Congrats!